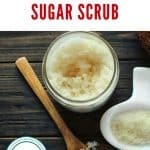 There are only three ingredients that you need to make a simple homemade sugar scrub – a sugar or salt exfoliant, a carrier oil, and an essential oil. Self-care refers to actions and attitudes which contribute to the maintenance of well-being and personal health and promote human development. Or, the little things that we do for ourselves or tell ourselves to feel emotionally and physically healthy. 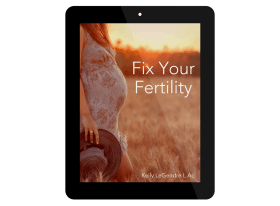 When I think back to my fertility journey and self-care, I remember focusing the majority of my attention on my inner health. Nutrition, supplements, herbs, and exercise were my priorities. And, yes, those were all very worthwhile ways to practice self-care. But I largely ignored my external body, other than regular castor oil packs for my PCOS. Now that I spend time helping others with their fertility, I have discovered the positive power of self-care with essential oils. 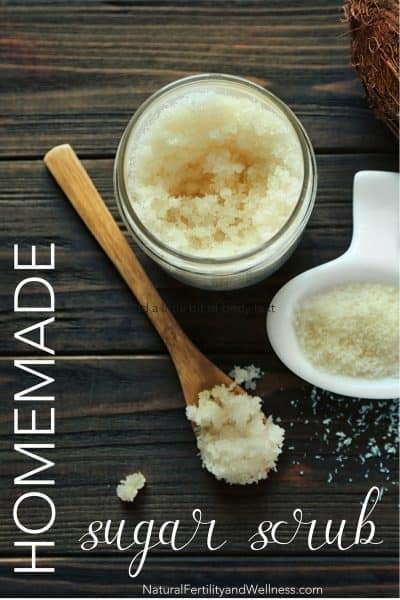 One of my favorite ways to enjoy these naturally scented oils, particularly in the winter when my skin is extremely dry, is to create homemade body scrubs. I feel so relaxed and my skin feels amazing when I treat myself to a self-care spa treatment! 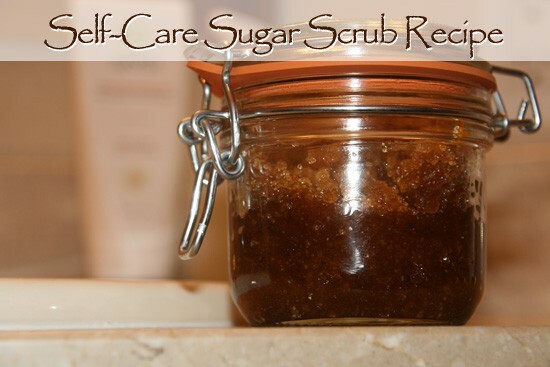 If you have sensitive skin, I suggest using a sugar scrub as salt may be too harsh for your skin. I prefer brown sugar (turbinado raw cane sugar) because it smells decadent. But you can also use white cane sugar. If you want to try salt, consider using a fine grain sea salt. Coarse salt may be too harsh on delicate skin. Carrier oils bind the scrub and help to soften the skin. They also help to dilute the essential oils, which are very potent. For scrubs, I prefer safflower, grapeseed or almond oils because they have very little scent. Olive oil and coconut oil can also be used, but they each have a distinctive scent. If you have very dry skin, macadamia nut oil is a thick and nourishing choice that will leave winter-damaged skin soft. When it comes to essential oils, there are several that are known for their hormone balancing properties, including geranium, clary sage, sandalwood, and frankincense. Peppermint, ylang-ylang, and ginger are excellent libido boosters. Essential oil companies also sell blends for particular purposes – such as Stress Relief, Calming, or Balancing. You may find a particular aroma to be pleasing. So use what makes you feel good. Experiment. Get creative. Just be sure to read the bottle for warnings. Some oils, such as clary sage, should not be used after ovulation or during pregnancy. My favorite essential oils for simple scrubs are peppermint and lavender. Peppermint is very energizing and great to use in my morning shower. Lavender is calming and is the perfect oil for an evening bath. 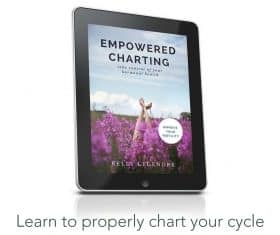 A great DIY for gifts or yourself. Combine carrier and essential oils and add to sugar. Stir until combined and store in an air-tight glass container for up to a month. Just a quick word of caution, the oils will leave a slick surface in your bath or shower, so be sure to wipe them down after each use. Feel free to use your favorite essential oil scents. Lavender is great for calming and for your skin. Citrus oils are energizing (but don't go out in the sun immediately following their use).